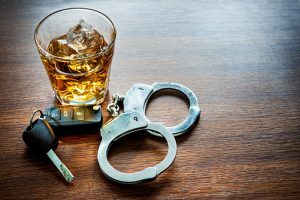 The Texas appellate court recently reviewed trial court proceedings that had resulted in the conviction of an alleged drunk driver. The defendant was convicted of a misdemeanor offense and was given a suspended sentence of 180 days in jail and a $500 fine. The defendant appealed and argued that the trial court judge was biased yet refused a request for recusal. The appeal also argued that the trial court abused its discretion by denying challenges for cause against several jury members. The appellate court found that the verdict was proper, despite the issues the defendant raised on appeal. The case shows some of the challenges of going to trial with a DWI and illustrates the importance of having an experienced Houston DWI defense lawyer protecting your interests in court. Joseph LaBella & Associates can help defendants accused of driving drunk to have the best chance at a fair trial. One potential juror indicated he was good friends with a law enforcement officer and that he believed police officers tended to be more credible witnesses. The potential juror also expressed the opinion that the training police officers undergo causes their testimony to carry more weight. Another potential juror said that if he was not certain who to believe after listening to conflicting evidence, he would believe the police officer because the officer’s position gave him more credibility. The trial court judge had a MADD plaque on his bench and had made comments in an anti-drunk driving video that had previously been loaded onto YouTube. Despite these signs of potential bias, the judge declined to recuse himself. The appellate court considered these issues but let the verdict stand. The reasoning was based on past cases where the Court of Criminal Appeals refused to require complete impartiality on the part of jury members. The jurors were asked whether they could be fair and impartial and wait until hearing the evidence, or whether they would let their preconceived opinions color their judgment. As long as the jurors said they could be impartial, which they did in this case, they did not have to be removed for cause. The decision of the appellate court that there was no improper bias on the part of the judge or the jury does not necessarily come as a surprise based on past case law in Texas. However, it does point to the fact that getting a truly fair trial can be a challenge for a drunk driving offender, especially with the level of social stigma that has become attached to drunk driving. The best way for defendants to protect themselves when charged with drunk driving is to have an experienced attorney begin handling the case as soon after arrest as possible. Defendants may also consider entering into a diversion program or negotiating a plea deal with the help of their lawyer, depending upon the circumstances of their arrest and the evidence against them. Call Joseph LaBella & Associates today at 800-395-5951 or visit www.texas-dwi-lawyers.com to speak with a Houston DWI defense lawyer.